John Cena’s had a good and not so good 2018 so far. While he’s had a ton of career success, his longtime girlfriend-turned-fiancée, Nikki Bella, also called off their wedding, and while Cena has been pretty open about the heartbreak he’s experiencing right now, it seems things may be looking up. He just landed a huge new movie role thanks to fellow former wrestler Dwayne Johnson. Johnson took to Instagram to announce his next project (because 12 movies in production clearly isn’t enough). Based on a novel by Robert Ludlum (the writer of the Bourne series). Johnson is producing an action thriller called The Janson Directive and the lead character is going to be portrayed by — you guessed it! John Cena. Dwayne Johnson was all about congratulating his friend in a video which he captioned, “Congrats to my good bud John Cena on landing the lead role for our movie, THE JANSON DIRECTIVE…Congrats man and I’m excited to go on this journey with you.” Variety reported that the role was originally intended for Johnson, but his schedule forced him to step back. He’s clearly thrilled to be able to offer the part to someone he has so much history with. Cena and Johnson met during their days in the WWE and wrestled twice. 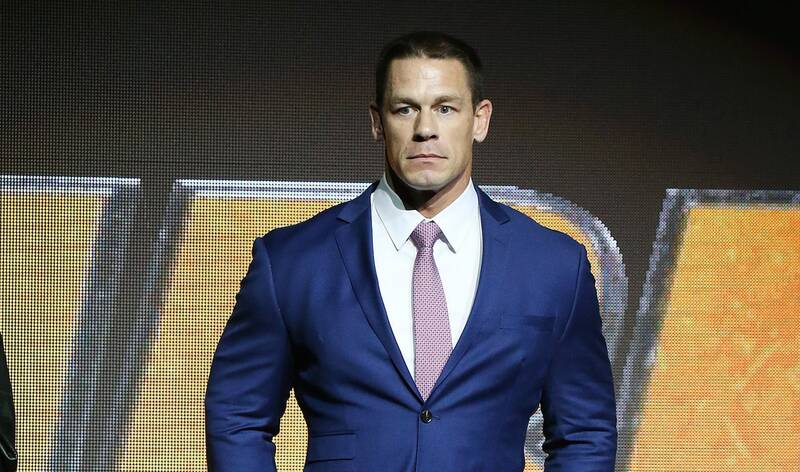 CBS Sports explained that their storyline then included the then-jocular element of Cena insulting Johnson over leaving wrestling for Hollywood. Since their days in the ring, they’ve maintained a friendly rivalry that most recently made its way onto late-night TV during back-to-back appearances on Jimmy Kimmel in which Johnson explained that some of their WWE animosity was, in fact, real-life bad blood. Cena has now managed his own successful transition to Hollywood and is following in Johnson’s footsteps into comedy. He appeared in the films Daddy’s Home 2, Trainwreck and most recently Blockers. He also appeared on two seasons of his former girlfriend’s reality TV show, Total Bellas, where his relationship with wrestler Nikki Bella was a major storyline. This new movie role could be just what Cena needs to start to move on. And it sounds like it’s the kind of thing that’s right up his alley, but Johnson isn’t leaving anything to chance. In his Instagram announcement, he also gave Cena some motivation in the way of a threat. “Thank you for your commitment to the role, and remember, as your producer, if you screw up, I’m coming to set and droppin’ the People’s Elbow on ya. And you know first hand how devastating my elbow drops can be.” That would motivate anyone. No news yet on any filming dates or other casting, but with these two on board, the project is off to a great start.